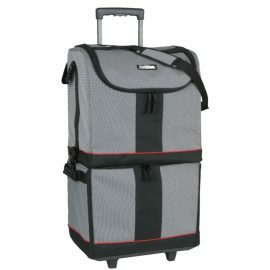 Artbin Tote Express, your studio on wheels!! 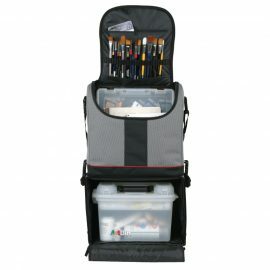 Stackable bags made to store and carry your art tools. 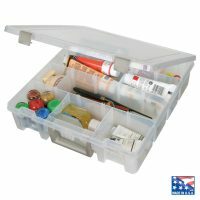 ideal to store art and airbrush tools! 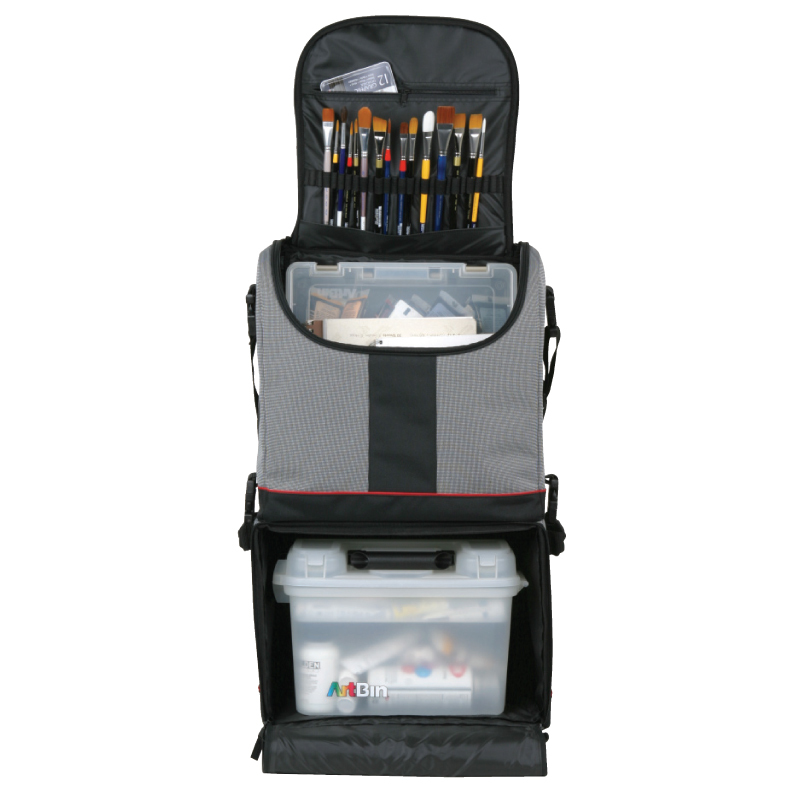 17.5 X 13 X 30.5 COMPLETE UNIT 18 X 13 X 16.25 TOP UNIT 18 X 13 X 14.25 BOTTOM UNIT Top Unit-26 individual loops on inside cover for markers, brushes and “tools of the trade”. Large interior back pocket with protective flap holds up to 12″ x 12″ books, papers and projects. 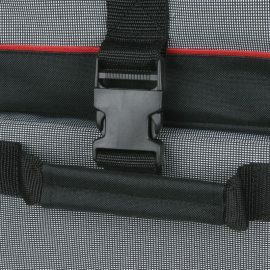 Side buckles connect op and bottom units for stability and security in transport. Shoulder strap with shouder pad lets you easily transport the top unit separately. Sized to hold all Super Satchel boxes and small storage boxes. Base Unit-Locking 2-stage handle. 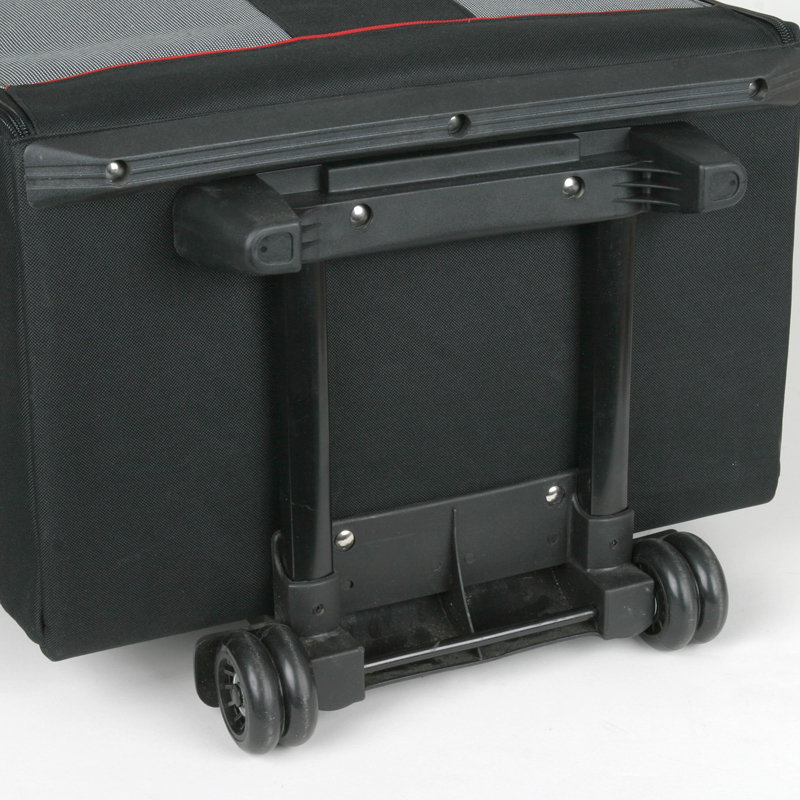 Double reinforced side handles for secure lifting of bottom unit. Sturdy double skate wheels. Solid wall inserts in both top and bottom units. Large, open base easily accommodates bulkier supplies. 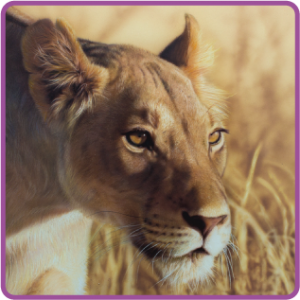 Added reinforcement on base unit provides extra support.